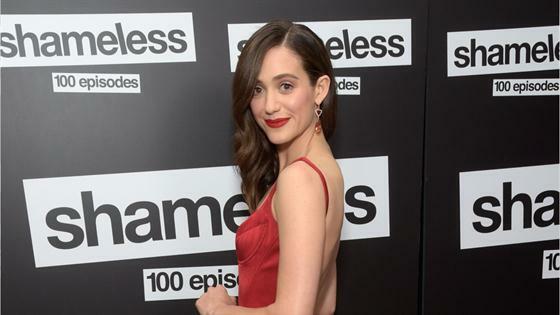 Emmy Rossum is saying goodbye to Shameless. Rossum, who has played Fiona Gallagher on the Showtime comedy since it began, announced her exit in a lengthy Facebook post. "This business is always an adventure, full of travel and opportunities to tell stories. Usually as an actor, every few months, you travel to a new place, start a new project, build a new character, learn new rhythms, new inside jokes with your crew, make new friends," Rossum wrote. Until she joined Shameless, she said she didn't know she craved the community the show gave her. "There are these real connections, real friendships that bring us back season after season after season," she said. "See, in real life, unlike Fiona, I'm an only child. I never had a big family. Being ensconced in that messy Gallagher family love is something I'd always dreamed of. But even off set, it feels real. We've watched the kids grow up into the strong, talented, independent human beings that they are. I taught Emma to shave her legs. I was there when Ethan learned to drive. Shanola and Jeremy and Joan and Bill danced at my wedding in New York last year. Our fearless leader John Wells thankfully held Sam and me up on those rickety chairs during the hora. I've spent the Jewish holy days in temple with David Nevins and his wonderful wife and kids. It really feels like a family," she said. Season nine of Shameless is currently filming and set to debut on Sunday, Sept. 9 with the second half of the expanded season poised to debut in January 2019. In season nine, the Gallaghers get caught up in political fervor. Rossum's character Fiona tried to build on her success with her apartment building, but in order to do so she makes a risky and possible expensive gamble to get herself to the next level. Back in 2016, Rossum had a contract dispute with the series and she demanded equal pay ahead of season eight. It was later resolved. "I know you will continue on without me, for now. There is much more Gallagher story to be told. I will always be rooting for my family. Try not to think of me as gone, just think of me as moving down the block," she wrote. "With love, always." "We were saddened when Emmy Rossum let us know that the upcoming ninth season of Shameless would be her last. But we are filled with an overwhelming sense of joy and gratitude for Emmy's inspired work on our series, of course in front of the camera but also behind it. Fiona Gallagher will always be one of Showtime's iconic characters, and we applaud Emmy for bringing this character to life in such a natural, touching and fearless performance," Gary Levine, president of programming at Showtime Networks, said in a statement. "On behalf of everyone at Showtime and her millions of fans, we thank you Emmy!" "For eight years and more than 100 episodes, Emmy Rossum has delivered a deeply honest, authentic and unflinching portrayal of Fiona Gallagher, one of television's great characters. We wish her all the best as she explores the next chapter in her career. But before that, we are excited for fans of Shameless to see Emmy and the entire ensemble cast continue the adventures of the Gallagher family in the show's upcoming ninth season," producers Warner Bros. TV said in a statement. Read the full note on Rossum's Facebook. Shameless returns Sunday, Sept. 9 at 9 p.m. on Showtime.